Last week, in Toldot, after falling into Rebekah’s snare, Jacob was forced to flee for his life from his brother, Esau. Before sending him away, Isaac granted the blessing intended for Jacob all along. 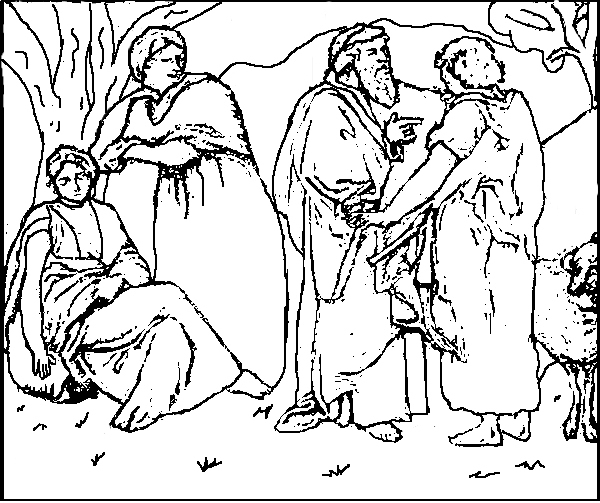 According to the timetable constructed by the sages, Jacob was 63 years old when he left for Haran and 84 years old when he married Rachel after working for her seven years. As Jacob arrived destitute in Haran, the sages surmise he was robbed along the way, possibly by Esau or his offspring. It is inconceivable, the sages reason, that Isaac would have sent Jacob without wealth and gifts as did Abraham when he commissioned his servant to find a wife for Isaac. The sages further speculate that after Jacob was separated from his wealth he spent some years trying to make sense of all that had befallen him and seeking wisdom for the future. 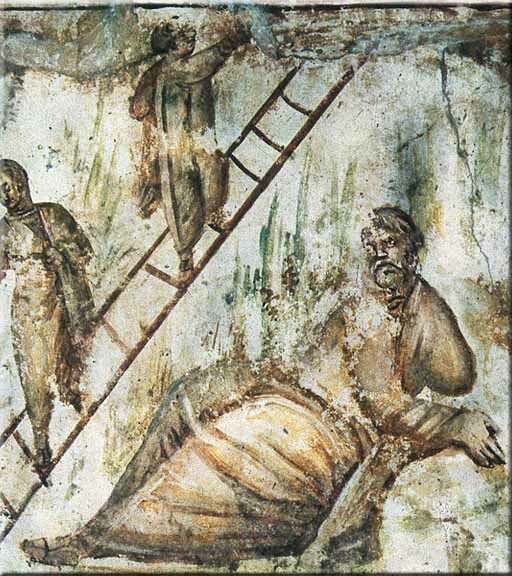 On his way to Haran, Jacob stopped for the night and dreamed of a ladder. It is time that we see ourselves as part of Jacob’s household. Jacob was renamed Israel, the overcomer. Stop now and read the promises in the Book of Revelation that Yeshua makes to the one who overcomes. Israel is the one who walks in covenant by keeping Yahweh’s commandments. Israel is the “holy nation,” the “royal priesthood.” Israel is the Bride, the light of the world. The Jewish people have been scattered to the ends of the earth due to exile, persecution, pogroms, and other forms of anti-Semitism. God has blessed them exceedingly in every field of endeavor and kept a remnant alive. The birth of the modern state of Israel subsequent to the Holocaust is a partial fulfillment of God’s promise to be with Jacob and bring him back to the land. “Bethel “means “house of God.” “Luz,” according to Hitchcock Bible Names Dictionary means “almond” and “separation” and provides evidence of God’s approval of Jacob as well as His purpose for him. We see God’s stamp of approval on Aaron, subsequent to the rebellion of Korah, when Aaron’s rod budded overnight with fragrant blossoms and almonds. (Num 17:8) At Bethel, Jacob, likewise, was established, set apart, separated, for the service of God. The editor of the Expositors Bible views Jacob’s monument as a reminder of his dearth of hope when God appeared to him, and, therefore, a reminder of all the help God would afterwards give him. Matthew Henry points out this marginal reading of the verse. The Hebrew implies that, inspired and encouraged by his encounter with God, Jacob now goes cheerfully onward, with great expectations of future manifestations of God’s loving kindness. Approaching Haran, Jacob came to a well, most likely the same well where Abraham’s servant found Rebekah. 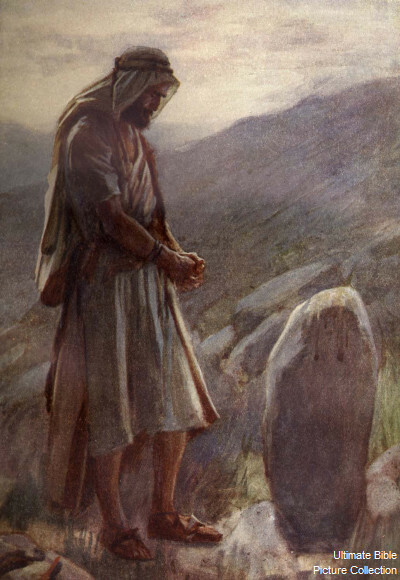 But, while Abraham’s servant arrived with ten camels loaded with gifts and immediately was approached by a beautiful maiden who ran to give him a drink, Jacob arrived with absolutely nothing, only to face a huge stone over the well’s mouth. Symbolically, Jacob encountered the “stumbling stone” (Isaiah 8:14) and “the stone that the builders rejected.” (Psalm 118:22) The “three flocks” here picture the three great monotheistic religions of the world: Judaism, Christianity, and Islam. All have, in one form or another, rejected Yeshua. Judaism, for the most part, is blinded to His first coming; Christianity does not recognize Him as the one who gave the Torah to Moses on Mount Sinai; and Islam sees Him as the prophet that will in the end embrace their Mahdi, the twelfth imam, who will rid the world of Christians and Jews forever. Jacob had heard the story, no doubt repeatedly, of how Abraham’s servant was miraculously led to Rebekah. In light of his own recent encounter with the LORD, Jacob’s expectations were full blown when he came to the well. When the beautiful young shepherdess appeared, he had no doubt that she belonged to him. With the same energy and enthusiasm that Rebekah had demonstrated in watering Abraham’s ten camels, Jacob heaved the stone away and watered Laban’s sheep. Presumably, Jacob confessed to Laban all that had transpired and the reason he was destitute. To Laban’s credit, he made his nephew welcome. Apparently Jacob’s superior knowledge in caring for sheep made up for the lack of camels laden with gifts. Whether or not Laban knew the details of why Jacob had fled from Canaan, Jacob was about to learn that “your sin will find you out.” (Num 32:23) Just as Jacob had pretended to be Esau, so did Leah pretend to be Rachel. Such was the consequence of Rebekah’s snare. And so, Jacob, who had divided Isaac’s family, ended up with a house very much divided. Conceding to the culture, as had Abraham and Sarah, Rachel offered her maidservant Bilhah as a surrogate. Bilhah gave birth to Dan, meaning “judge,” followed by Naphtali, “wrestling,” both named by Rachel. Leah, not to be outdone, seeing she had ceased bearing, offered Zilpah to Jacob and Zilpah soon bore Gad, “good fortune,” and Asher, “happy,” as Leah named them. We come now to a story that the sages have struggled to comprehend. Reuben found some mandrakes and brought them to Leah. Rachel apparently believed the fruit could assist her in becoming pregnant. She offered that Jacob could sleep in Leah’s tent that night in exchange for the mandrakes. But, the “love apples” as they are sometimes called, were a disappointment and the whole scheme backfired. “And God listened to Leah” (Gen 30:17). While Rachel depended on extraneous means, Leah depended on prayer and was rewarded with a second string of births. Issachar, whose name means “reward,” was followed by Zebulun, “well endowed” and, finally, Jacob’s only daughter, Dinah, “justice,” made her appearance. In Jewish eschatology, Messiah does not return to take his people to Heaven; rather, He returns to take them to Israel! When this idea was first introduced to me, it sent me scurrying to read my Bible with new eyes. A thorough search revealed numerous verses like those listed above which say that God will “gather” His people and take them to Israel. A passage from Ezekiel’s vision of the “dry bones” makes it plain that this will occur at the resurrection of the righteous. In addition to gathering His people from the four corners of the earth, Messiah ben David will teach Torah from Mount Zion (Isaiah 2:3, Micah 4:2); He will re-build the Temple (Eze 37:26-28); and He will establish world peace (Isaiah 11:6, Zech 14:9). For the most part, the Jewish faithful have not been able to grasp the possibility that one Messiah will, in fact, fulfill both roles with two “comings.” Part of the responsibility lies with the Church, which, in general, presents a false Messiah who replaced the Sabbath and other Holy Days with holidays long ago dedicated to pagan deities and, supposedly, died so that His followers can eat pork and shellfish. Back to our Torah portion. After the birth of Joseph, Jacob longed to return to his father. (Gen 30:25) Jacob could not be satisfied until he returned to the Promised Land. Laban, however, knowing full well that his prosperity was directly attributable to Jacob, pressured his son-in-law to stay, and invited him to name his price. Though Laban’s flocks had greatly prospered under his watchful eye, Jacob was little more than an indentured servant. The years were quickly passing; he wanted to provide an inheritance for his own family. 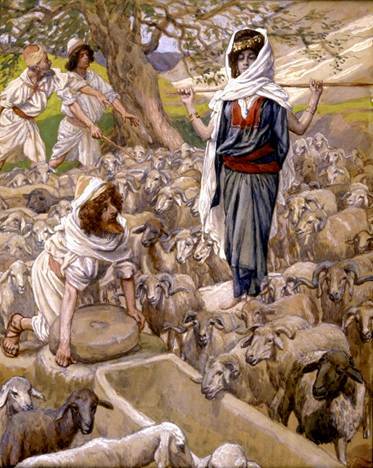 Jacob proposed that he would continue to shepherd Laban’s flocks if Laban would give him a chance to develop his own flock. He proposed Laban give him the speckled, spotted, and dark sheep, obviously the minority, as his compensation. Such markings would not only constitute a convenient way to denote each animal’s rightful owner, but, practically speaking, would prevent either party from accusing the other of wrong-doing. 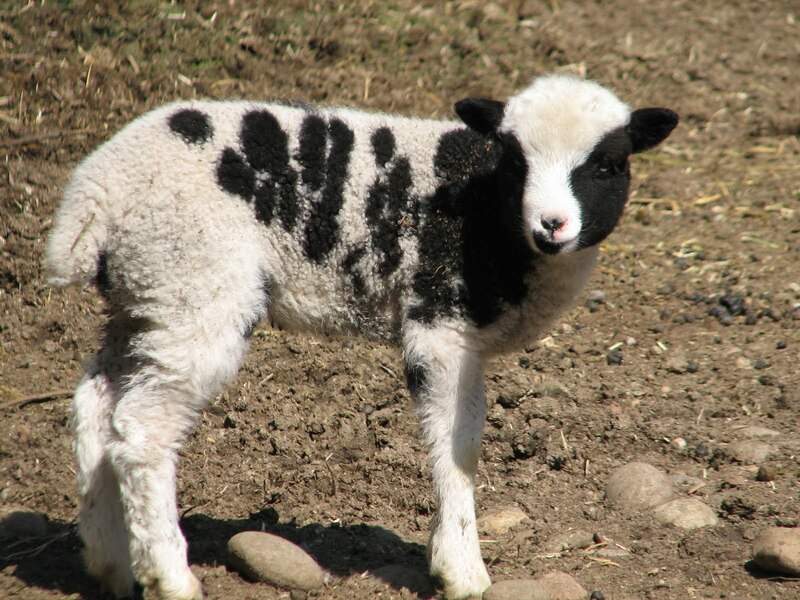 Let us stop and consider these speckled, spotted, and dark sheep. The words mean “marked,” “variegated”, and “brown or black,” respectively. Therefore, to me, this remnant pictures the Jewish people, marked by Satan because they hold dear the precious Torah scrolls that contain the promise of his defeat and destruction. They are “variegated” because they, along with the other Ten Tribes, were scattered, mixed among the nations, and now are sprouting up worldwide, a colorful tapestry of believers, not unlike Joseph’s coat. The brown or black ones, to me, represent the demonic depictions of the Jewish people throughout history as Christ-killers, cheats, and liars. The Scripture goes on to say that from these came forth the “ringstraked” (Gen 30:39) which means “striped.” This brings images to mind of the Holocaust, when Jewish prisoners were issued striped pajamas for uniforms. 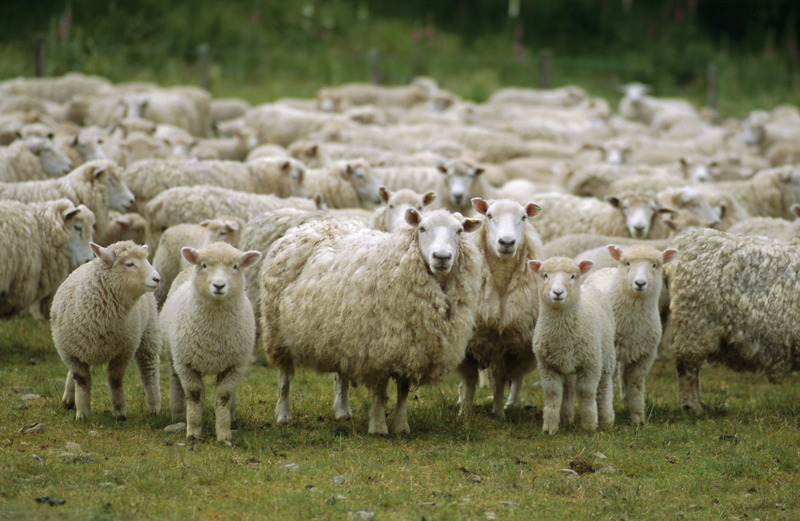 Laban readily agreed to the plan and immediately removed the speckled, spotted, and dark sheep of his flock a distance of three days away from Jacob. From this we can infer that the flocks left in Jacob’s care were completely white. 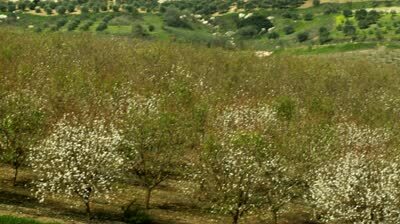 In contrast to these life-producing almond branches, the Ruach HaKodesh also showed Jacob to take shoots of chestnut trees – the root word of which means to be cunning and crafty – as well as poplar trees which exude a “milky-white” gum, and strip the bark to reveal the interior. The root of the word translated as “poplar” is identical to the root of Laban’s name—bricks devoid of any life-giving moisture. The “gum” that this tree produces, to me, represents the seduction of traditions of men that make the word of God of no effect. To the stronger sheep Jacob showed these branches, but to the feebler ones he did not—and the stronger ones were set apart. The sisters, interestingly, were united in their response. Note they have stopped saying, “I,” “me,” and “mine,” and are now saying, “Us,” “we,” and “ours.” This unity pictures the Two Houses of Israel becoming one and together going back into the land at the end of days. A reuniting is yet to occur; but, first, let us review a bit. Israel clamored for a king until God appointed Saul through the prophet Samuel. 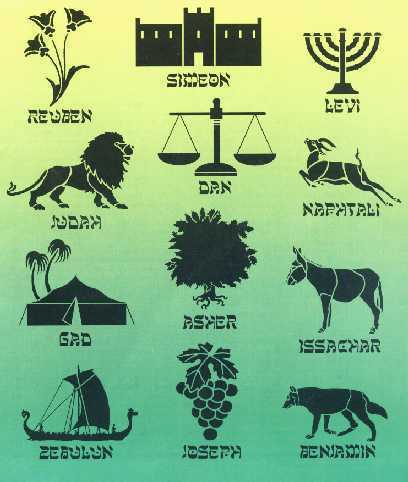 Saul ruled over all twelve tribes. Not long after Saul became king, he failed to obey God’s command to destroy Agag the king of Amalek, a descendant of Esau. As a result, God told Samuel that David would become king. David had to wait perhaps as many as 15 years before he came to the throne at age 30. Meanwhile, Saul became jealous of David and hunted him like an animal. Yet, even though David had more than one chance to kill Saul, David refused to touch “the LORD’s anointed.” (1Sam 24:6) In the end, Saul died a dishonorable death at the hands of the Philistines. Afterwards, the leaders of the tribe of Judah made David king over them and he ruled from Hebron. Seven years later, the remaining tribes asked David to be their sovereign as well and he reigned from Jerusalem over the reunited kingdom. This foreshadows what Messiah will do upon His return. 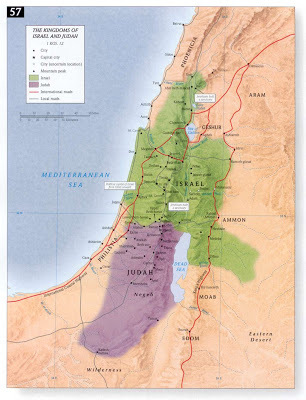 ♦ The House of David is the Southern Kingdom, and is primarily called Judah or the House of Judah. It was comprised of tribes Judah and Benjamin. ♦ God placed the other ten tribes – the Northern Kingdom,the House of Israel – into the hands of Jeroboam, a man who had attracted Solomon’s attention and had been promoted to CEO of the kingdom’s largest construction division. God essentially promised Jeroboam the desires of his heart–on condition that he must observe the ways of God, as did King David. Jeroboam completely squandered this tremendous opportunity. Instead of digging into the ways of God and learning how to walk with Him, Jeroboam set up two golden calves and told the inhabitants of the Northern Kingdom, also known as Ephraim (the tribe of Jeroboam’s birth), that they no longer had to go up to Jerusalem to keep the Feasts of the LORD, as God had commanded Moses. (Exo 23:14,17) Instead, he told them, they could go to Dan or Bethel, where it was more convenient. Jeroboam also established temples in “high places” and offered sacrifices himself, although God commanded this role only for Aaron and his sons. Jeroboam established his own feast days and made priests of those untrained in Torah observance (1 Kings 12:26-33), picturing the Church at large today. Jeroboam’s influence was so far-reaching that nothing good is reported in Scripture of his eighteen successors. 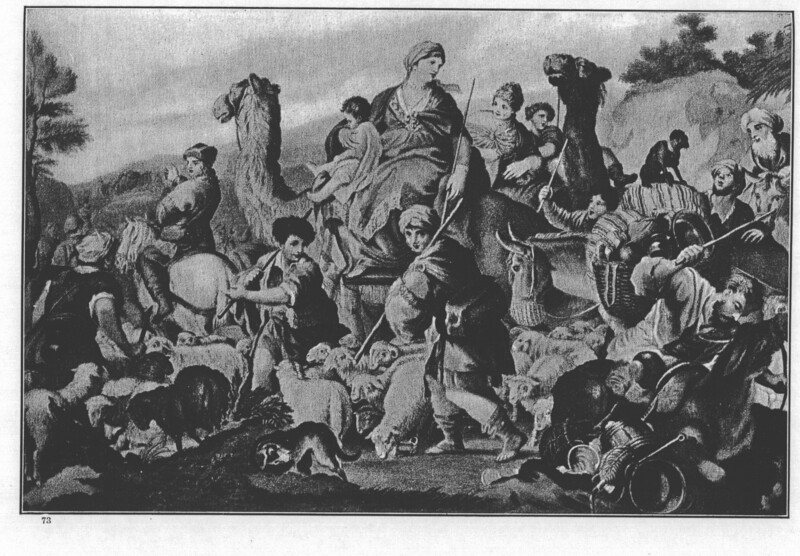 Ultimately, God allowed the king of Assyria to carry off the ten tribes into captivity. Moreover, Jeroboam’s ways were so pervasive that even the House of Judah was infected, and in the end, was said to be more evil than the House of Israel. (Eze 16:51) God sent Judah into captivity in Babylon for 70 years, after which time a remnant returned in the days of Ezra and Nehemiah. But the majority remained in Babylon and others were scattered throughout the earth. This was in fulfillment of the LORD’s promise to punish the Bride if she committed idolatry. But, the good news is that God so loved the world that He gave His only begotten Son that whosoever believes in Him shall not perish but have everlasting life. (John 3:16) Once Yeshua ascended to Heaven, the disciples and apostles went to the “lost sheep of the House of Israel,” as He instructed (Mat 10:6, Mat 15:24), to proclaim that the price for the Bride’s rebellion had been paid and that Israel was welcomed to return to the kingdom. But, Satan is utterly terrified of such, knowing full well that the unity of the Jacob’s family is a precursor to his demise. To prevent this, he began to use Esau to infiltrate the sanctuary and to cause Christians to hate their brother Judah, as we saw in last week’s lesson. Thus, the Two Houses of Israel remain apart to this day. It seems to me that Rachel represents the House of Israel, which, as we have said, had a long history of worshiping idols, while Leah represents the House of Judah, the wife that the world has so hated. It has now been nearly 2000 years since Yeshua was crucified and resurrected. Therefore, in light of the Scripture which says, “a day with the LORD is as a thousand years and a thousand years is as a day” (2 Pet 3:8), we have nearly reached the “third day.” The time has arrived when the Holy Spirit is whispering to Jacob’s flock that it is time to return to Eretz Israel. Wherever they reside, Jacob’s children find no rest in Babylon. Like Jacob, they “long greatly for their father’s house” and the eyes of Jacob’s children are always on their homeland. The Aramean (alluding to the anti-Christ or his precursors) will give chase and try to intervene; but will be restrained by the Ruach HaKodesh, just like both Pharaoh and Abimelech were restrained from keeping Sarah and Rebekah. Another Exodus is soon to occur that will dwarf the first so much so that it will all but be forgotten. Although amid stinging persecution, a remnant will return safely to Eretz Israel and will join their brothers to defeat Amalek, or whatever name the anti-Christ spirit is then hiding under. Being helpless to do anything except let them go, Laban the-expert-white-washer proposed a covenant. Laban’s words are the words of the Aramean who will one day rise up and claim the whole world as his own. But, on this particular day, the enemy was restrained and Jacob agreed to a peace treaty. He set up a stone for a witness to the agreement and his family added their stones to the heap, signaling their intent to maintain peace. Interestingly, Jacob swore in the name of the God of Isaac (Gen 31:53) and then offered a sacrifice to Him. Early the next morning, Laban arose and kissed his grandchildren and his daughters and blessed them. Then Laban departed and returned home. (Gen 31:55) So, perhaps it will be that when we hear the call to go home to Eretz Israel, though they refuse to go with us, perhaps those of Laban’s congregation will bless us. Mahanaim means “two camps.” We will discuss this more in next week’s lesson. To close I would like to present a rather profound thought from the Expositor’s Bible Commentary, edited to update the language. Words in brackets are mine. Before we leave behind Jacob’s vision [of the ladder], perhaps we should look at one instance of fulfillment in order to better understand the grace with which God works in our lives. Jacob’s experience in Haran was not nearly as wonderful and happy as he hoped. Although he did, at once, find a woman he dearly loved, he had to purchase her with seven years’ toil, which ultimately became fourteen years. He did not begrudge this, first, because it was customary; but also because his love was deep, and [because he was determined to fulfill his obligations to his father to find a wife]. However, the bitterest disappointment awaited him. With the burning humiliation of one who has been cheated in such a cruel way, he finds himself married to Leah. He protests, but he cannot insist on his protest, nor divorce Leah; for, in point of fact, he is conscious that he is only being paid what he deserves and has reaped what he has sown. In the veiled bride brought to him on false pretenses he sees the justice of his own disguise when, with the [counterfeit] hands of Esau, he went in and received his father’s blessing. He is muzzled by the remembrance of his own deed. But, in submitting to this chastisement, and recognizing in it not only the cunningness of his uncle, but the stroke of God, that which at first seemed a cruel curse became a [tremendous] blessing. It was Leah much more than Rachel that built up the house of Israel. To the hated wife was born six of the tribes [and the only daughter], and among these was the tribe of Judah. Thus Jacob learned the fruitfulness of God’s retribution—that to be humbled by God is really to be built up, and to be punished by Him is the richest blessing. 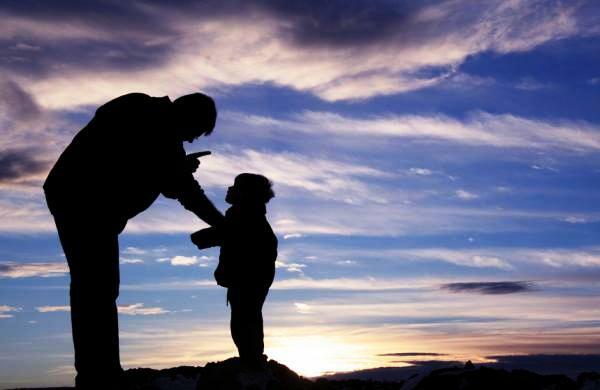 Through such an experience are many persons led…when God thrusts into our arms something quite different from our [desires and] expectations—something that not only disappoints, but that at first repels and reminds us of a past that we had tried to forget… Do we look back with resentment on some such experience? Are we disheartened to miss what we believe is the [true] purpose of our labor [or our life]? We can look upon Jacob with new hope and see that the disappointment may be more fruitful than the hope fulfilled. And, thus, like Jacob, no matter our past, or what the future may appear, we can “lift up our feet” and, full of faith and high expectations, continue happily on our journey. We are truly the most blessed people who have ever lived on this planet!